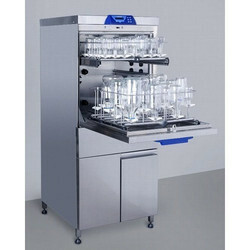 Manufacturer of a wide range of products which include lancer laboratory undercounter glassware washer dryers, lancer 910 lx laboratory free standing glassware washer dryers and laboratory glassware washer dryers. In today’s laboratory, space and money are often in short supply. 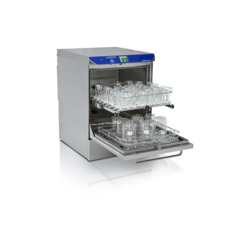 With this in mind, Lancer has engineered the 810 LX undercounter glassware washer to be a perfect fit for any lab and any budget. While fitting neatly in standard 24”/60cm laboratory casework, the entry level underbench 810 LX lab washer offers professional features and the same high performance cleaning principles of all Lancer washers. Rack systems are common across the 810-1300 LX and 1800 LXA models enabling economical upgrade when expanding the capacity of your lab. Small footprint large capacityA great all around Glassware Washer Dryer, the Lancer 910 LX offers 2 levels of cleaning with a choice of position for the upper level. 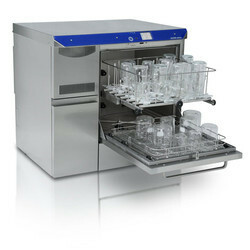 This freestanding glassware washer while being contained in a small footprint, does not compromse on wash capacity. It includes a built-in drawer for the safe storage and input of chemicals. It also offers powerful forced air drying through the injectors and in the chamber to ensure complete and rapid drying of glassware both inside and out. Additionally the 910 LX offers ergnomic door level loading. Rack systems are common across the 810-1300 LX and 1800 LXA models enabling economical upgrade when expanding the capacity of your lab.